On the campaign trail with Olivia Chow: Political aptitude, zero. During the October 2008 Federal Election, I volunteered in multiple constituency offices surrounding my riding of Toronto Centre. I was infiltrating the New Democratic Party, observing their candidates as a strategic conservative. In order to assist conservative candidates I was attempting to pull the carpet out from under the Liberal’s feet from the other side. I was able to observe closely my Toronto Centre candidate El-Farouk Khaki, a quick Google search still shows pictures of me holding his campaign fliers during an all-candidates debate. I was also working in Don Valley West with NDP candidate David Sparrow trying to split votes from Liberal Rob Oliphant, in hopes of a Conservative victory for John Carmichael. My most cherished memory of that election however (aside from partying with Toronto Centre Conservative candidate David Gentili and his wife) was the time I spent working directly under Olivia Chow. I arrived at her campaign office in Trinity-Spadina one morning, and walked up to the reception desk, which was currently being presided over by the late Jack Layton’s son Michael (aka Mike) who latter became Ward 19’s Councillor in the 2010 municipal election. “Hello, I’m from the El-Farouk Khaki campaign, but I thought I’d come and give Olivia a hand today, my name is Michelle.” Mike Layton looked at me, no doubt taking in my stylish clothing and hesitated for a moment before asking me “Have you ever canvassed door-to-door with a candidate before?” The answer was no, I never had at that point. Yet I did not miss a beat. “Of course” I replied nonchalantly. He handed me a volunteer application form and told me Olivia Chow is putting a team together at this exact moment. 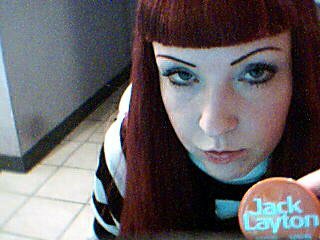 Sarah Layton (Campbell), Jack Layton’s other child was busy multitasking at her workstation. Observing everything I noticed the office, while fairly small was a hub of activity. With at least five computers setup staffed by teenagers, probable friends (perhaps even schoolmates) of Sarah Layton engaged in a ‘war room’ scenario. Monitoring various political websites, hijacking social networks, making comments extolling the virtues of Olivia Chow while posting nasty comments about her opponents and continuously re-voting on online polls. You may be shocked to learn that on a website like YouTube, Twitter or Facebook, just ONE of Olivia Chow’s volunteers maybe responsible for up to twenty five different user profiles on each website. Olivia Chow’s ‘war room’ volunteers use anonymous proxy servers to mask their location and re-vote multiple times on opinion polls in Olivia Chow’s favour. It’s a full time job for these ‘war room’ teenagers who spent countless hours fully engaged at their computer stations. Olivia Chow and the Layton family alone is largely responsible for her own so-called popularity. I have worked with several candidates on all three levels of government and Olivia Chow is the ONLY candidate I have seen using five full time ‘war room’ tacticians spamming the internet. When I was first introduced to Olivia Chow she was talking rapidly on her cell phone, clearly irritated with whom she was speaking with before making a snide comment and hanging up. With her trademark orange scarf on the back of the chair behind her, the initial introductions were quick. Mike Layton began to give her step-mother Olivia Chow a volley of instructions about how the remainder of the day was to play out, he knew her entire itinerary and directed all orders. Olivia Chow simply obediently nodded. While Olivia Chow was talking I noticed she had a perfectly normal Canadian accent, with no hint of Chinese what so ever. However when speaking publicly on television, as well as to her constituents Olivia Chow exaggerates a slight Asian accent, simply for the benefit of ethnic votes. “Okay, lets go!” Olivia Chow announced as we piled into her van, with Mike Layton driving and still calling all the shots. 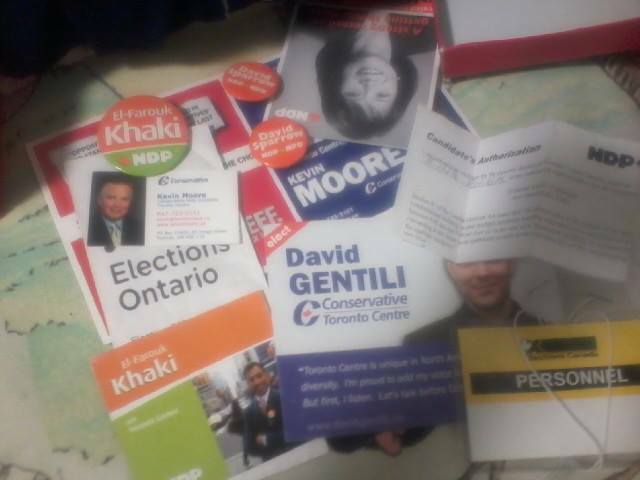 As I keep a curious ear on Mike Layton’s command of the otherwise obviously oblivious Olivia Chow, I rifled through the box of campaign pamphlets. I noticed something fascinating, there were three different types of filers, each written in a different foreign language and bundled separately. Quizzing Sarah Layton I was told “We have three different ethnic groups in the area, give the proper flier to the corresponding family, it’s all written down right here” handing me a clipboard. I have never before or since worked for another candidate who mapped out the individual homes of constituents based on their ethnic background, going so far pandering to immigrant voters. As I went door-to-door that day introducing constituents to Comrade Chow, I could not help notice most people we spoke with were too enamored with her self-created z-list celebrity status to ask any real questions related to her family’s socialist agenda. The few who did ask a direct political platform question were met with vague, flippant answers, designed to sell. Hilariously one man was startled when Olivia Chow interrupted him requesting to enter the house and use his washroom. Politically Olivia Chow is obtuse, her meticulously crafted image has been sold to the public as a lie by the entire Layton family. She uses sly manipulation tactics in order to appear to empathize with minorities. She is by no means fit to serve as mayor of Toronto. She clearly can not think for herself, lacking any possible type of independent thought let alone a political mind. I can guarantee you that presented with a direct political question which she is not prepared for, Olivia Chow will give a vague answer and quite likely ask to use your washroom to call Councillor Layton on speed-dial for advice. I have dealt and worked with several female politicians over the years, opinionated, bold and outspoken. Women who can certainly fight their own battles. Olivia Chow is not by any stretch of the imagination that type of woman at all. She is an incompetent puppet, with her devious masters carefully pulling the strings in a deliberate manner. I definitely agree about the incompetence of Olivia Chow, but in Toronto if a straight male is to criticize any woman, he is punished severely for speaking one of the most taboo subjects in Toronto, unless the male is rich or gay he may get a free pass. If a male professor was to criticize Olivia Chow or any female politician in the lecture, the outcome will be disastrous for the professor. You can clearly imagine the slightly-obese, cleavage showing, g-string wearing and poor fashion taste communist students attempting to overthrow the professor. Right in good ole Toronto! Same idea goes with anyone who tries to criticize the gay pride parade! However, the media can smear Mayor Ford with conjectures and baseless accusations which could harm his life. But Rob Ford is an ordinary white guy. Don’t forget he’s “the man”, doing his job and sticking it to lefty’s disastrous agenda. Yet if you are a member of a socialist friendly, tax gobbling special interest group… Apparently you are above any criticism what so ever. Comments here are terrible. Article was good.